During the 1930s, it was envisaged that the core of the German panzer divisions would be a medium tank armed with a 37mm or 50mm armour-piercing gun. A number of prototype vehicles were built by Daimler-Benz, Rheinmetall, MAN and Krupp in response to this requirement. Tested in 1936-37, the Daimler-Benz model was chosen for further development. The early models - Ausf A, B, C and D - had different forms of suspension, ranging from five large road wheels on coil springs per side (on the Ausf A) to eight small wheels on leaf springs (on the Ausf B, C and D). The turret and hull were essentially the same in all models. 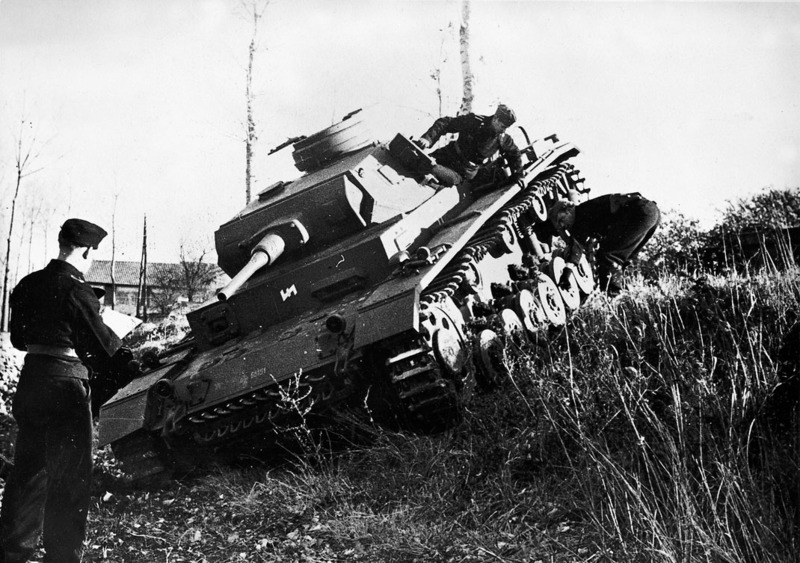 In the Ausf E version the suspension consisted of six road wheels each side on a transverse torsion-bar system, and this arrangement would continue through the rest of the Panzer III’s production life. The Ausf F was similar to the Ausf E, the main difference being to the ignition system, with cast air intakes being added to the upper hull plate to allow air circulation for brakes and final-drive cooling. Most were armed with the 37mm KwK L/46.5 gun, but around 100 were equipped with the 50mm KwK L42 model. Between August 1940 and 1942, many of the those remaining were up-gunned to 50mm calibre, with more armour also being added to the hull and superstructure.